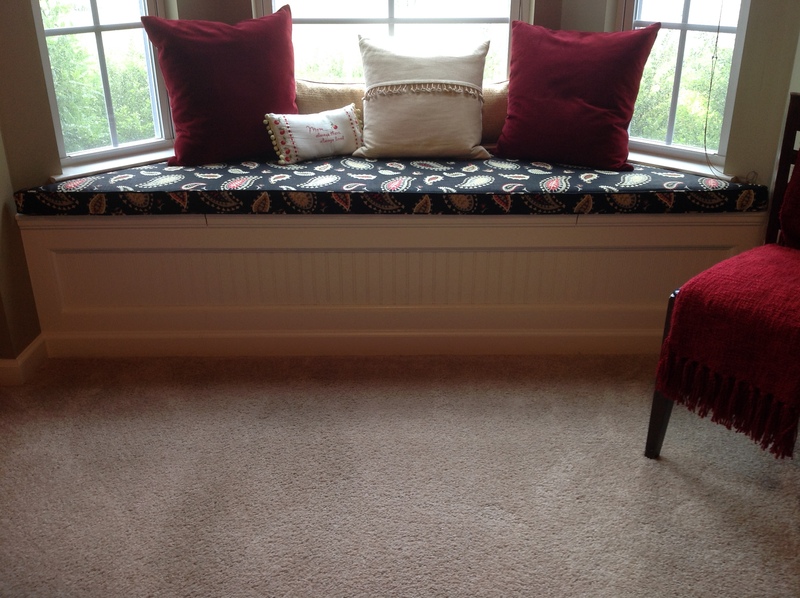 I built this window seat in a room used for a study/music room. It creates nice storage space in the bay window area. It is fully lined and the lid lifts to access the storage. This project involved pulling back the carpet, trimming it, and re-installing. My father, who is 86 and has a background in all types of upholstery, made the cushion for the top. Thanks Dad!